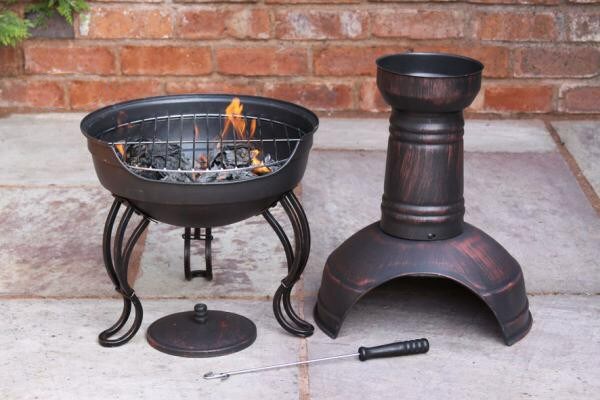 Our steel chimenea has duel use as it transforms in seconds into a barbeque for easy cooking. 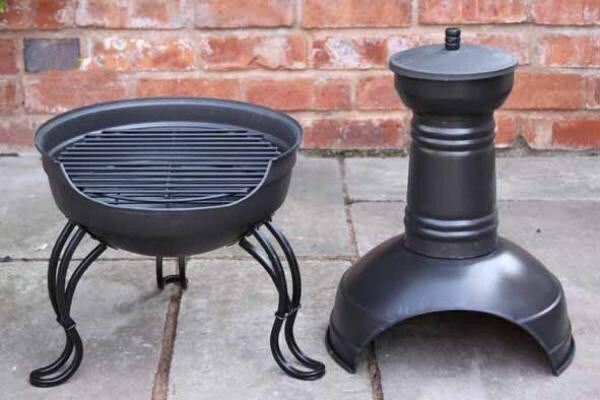 The chimenea comes with a cooking grid and includes the lid. It is finished in a bronze effect. 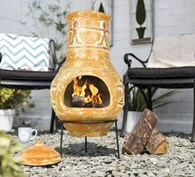 The chimenea can be used as a patio heater and the bowl can even be used as a fire bowl or fire pit as well. Simply take off the funnel and top bowl to reveal a full sized BBQ! 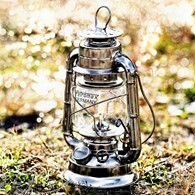 you can even take this part camping with you or to the beach. 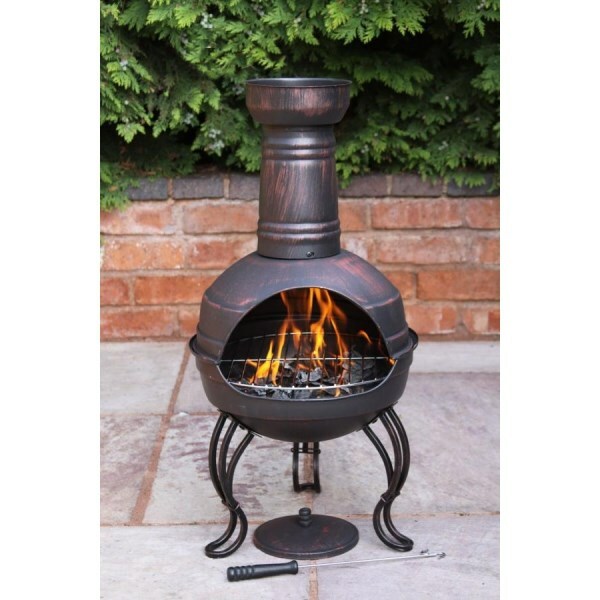 The steel chimenea is enamel coated to prevent rusting. 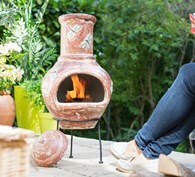 A good alternative to clay chimeneas as it is easy to move around the garden. Please note: Very simple assembly is required and full instructions are provided. All metal chimeneas will rust, however the amount will depend on how the chimenea is looked after or covered in bad weather. 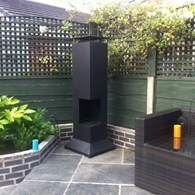 All chimeneas can be re-painted and rust will not affect the use of the item. There are no reviews for Steel Chimenea Converts to Barbeque.